JamBe 2013 the official International Jamboree organized by the Scouts & Guides of Belgium, taking place from from July 29 – August 8, 2013 at De Kluis in Belgium. Scouts & Guides of Belgium decided to make this event even more amazing. For the very first time they are organizing international Jamboree with all the five Scouts & Guides Associations in Belgium. JamBe2013 – A world of Imagination, will provide an Action Packed Adventure for 1200 participants – aged 14 to 18 – from all over the world. They will experience the camp of their lives at “Hopper De Kluis”, a stunning scoutcentre surrounded by beautiful woods near Brussels, Belgium. Please spread the word and share this invitation (English, French) within your Scouting and or Guiding Associations. Stay up to date by liking us on facebook (fb.com/JamBe2013) and following us on twitter (@JamBe2013). 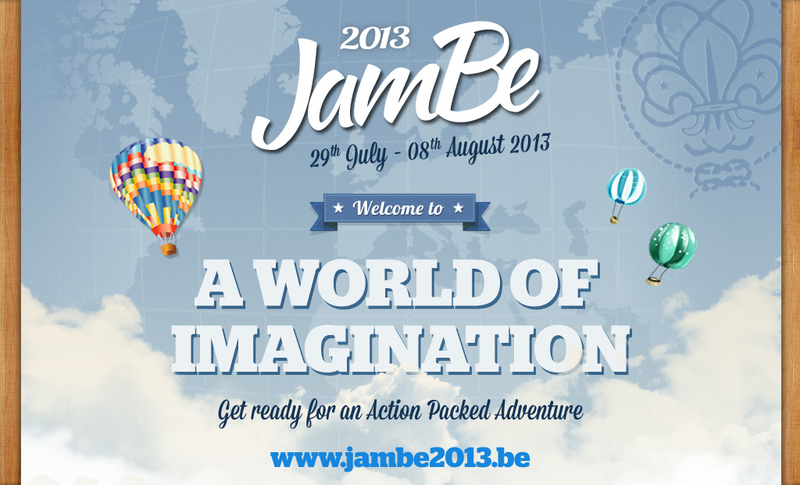 If you have any questions please do not hesitate to contact Scouts & Guides of Belgium via info@Jambe2013.be.